Regarding the oil refining process, there are two major branches: conversion and separation. In refineries, raw crude oil is reformed, through the use of many different methods, into more specialized and useful products. The oil refining process is responsible for multitudes of products made from crude oil. 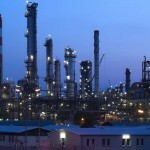 For example, the following are the products that are produced by Shell Refining Company (SRC). 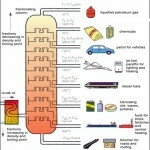 The first component needed to make any of these by products is crude oil. Crude oil has many different categories and types that can be found all over the world, and the correct selection of crude oil is a key factor in the oil refining process. Refining is heavily influenced by global factors such as general availability, quality, price and volume, and shipping costs. All of these elements, plus the demand of the market, will determine what individual refineries will be able to make, in what quantity, and where it can be sold. Distillation, or ‘fractionation,’ is the first stage in the process of breaking down raw crude. 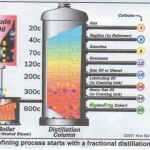 The procedure is performed within a ‘distillation column,’ where the crude is condensed after being boiled. Separation into different byproducts (ie. Kerosene, gasoline) is based on specific boiling points ranges. 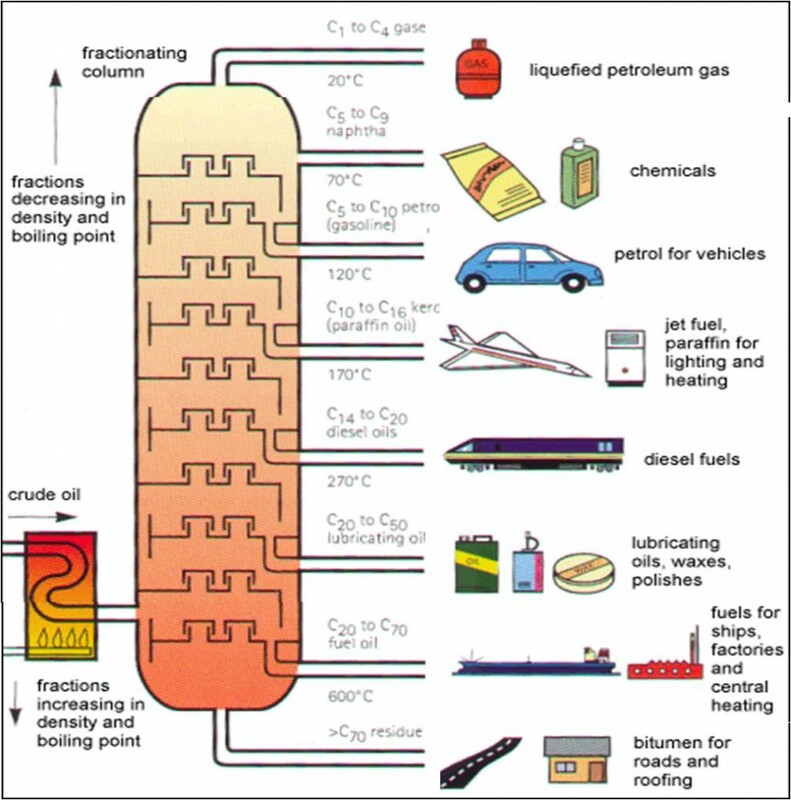 The heaviest crude components are the hardest to break down, and collect on the bottom of the column, while the lighter components boil easier and collect on the top. The next oil refining process is ‘hydro processing.’ This is done, in part, to meet environmental regulations, but also to remove sulphur from the component with the use of hydrogen. Reforming, or ‘plat forming’ is the following stage, where ‘naptha’ is converted into a product that is known as ‘platformate,’ or ‘reformate.’ The byproducts have a high octane rating, and are used for the blending of gasoline, using a platinum-containing catalyst. 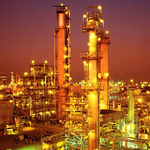 Catalytic cracking is the most intricate and complex process of conversion at a refinery. Here, large hydrocarbon molecules are broken down into smaller molecules, using catalytic and heat action methods. Long Residue Catalytic Cracking, or LRCC, is the unit for this process. The heavy stream of hydrocarbon known, as long residue, is taken and converted into more stable, valuable products and components, such as, Propylene and LPG. The main products of LRCC is a blended gasoline component known as CCG, and Coke.